What about the trends in the run-up to the Milan Design week? What can we sense by reading the news on cultural portals, walking around the city, visiting design and other exhibitions? First of all there are two returns, or, it’s better to say, two very marked “crowd pleasers”, also involving architects and designers: the taste for of true craftsmanship, i.e. a superior design ideal, whose beauty never deteriorates with time, and passion for wood, a lively, warm, ancient material, that is extremely timely. Craftsmanship means technique and genuine skills tha should be inherited by young people, making them discover new possible career opportunities. About crasftsmanship, Furisalone is a key area for this and the new Isola Design Distrct is a project that starts from the bottom, to gather and give visibility to artisans, young designers and emerging brands. This initative will be involving many local shops and public venues, drawing from the craft vocation of the area, for the purpose of offering an international showcase to the many project studios, artisans and designers that self-produce. Another big trend this year is colour, as testified by the liveliest area in Fuorisalone, i.e. Tortona. In fact, at Superstudio headquarters, this year’s theme will be “Time to Colour”. The energy of colour will be the thread for 2017 exhibitions, such as the one in the temporary Museum for New Design. So, down with the black and welcome to light and bright colours. 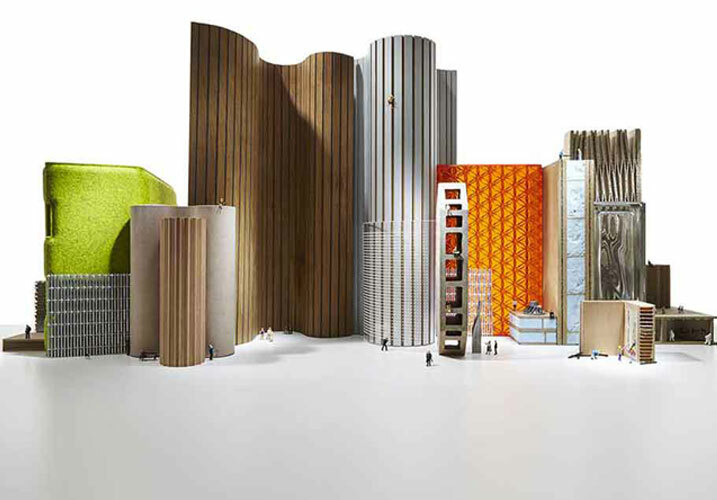 This year, as well, focus on the most innovative materials at Materials Village, the exhibition grounds curated by Material ConneXion that will welcome visitors with a special exhibition-event – New Materials for a Smart City – and Patricia Urquiola Studio’s big installation for 3M on the theme of memory. A long-lasting trend is contamination among art, design, fashion and culture. This is proved by the event organised by Timberland with Matteo Cibic, to re-interpret the boat shoe with an original installation that “tells about a new way of walking in the contemporary metropolis”, in the Brera district. Always in Brera, Gaetano Pesce will focus on the special installation called Betrayed Majesty, an out of scale Up armchair covered with women clothing coming from every corner of the earth, as a reflection on the role of women in the present society. Last but not least, still focusing on the fusion of ideas and trends, a real gem: the opening of “In bed with Design-Design Hostel” in the Bovisa area, an event organised by Ghigos Ideas, in collaboration with Politecnico di Milano and POLI.design. In the innovation district, the first temporary hostel exclusively dedicated to design will be inaugurated, set on the top floor of a former factory that today hosts the biggest Italia makerspace. About 40 international planners and designers will be living in as many pop-up rooms, giving birth to 1200 square meters of exhibitions, workshops, talks and many more night events associated with the world of architecture, design, new technologies and digital production. Therefore “commingling” is the thread that binds the various initiatives and events: interdisciplinarity, fusion, for souls that can catch trends and inspirations in a cultural and emotional continuum.